For three quarters of 2017, Ukrainian traders exported 4.36 thousand tons of fresh, chilled and frozen pork with a total value of $ 9.215 million. By volume (2.6 times) and by volume of foreign exchange earnings (3.6 times), these results exceed the improvements of three quarters, but not at the expense of export activity in September. Thus, during the first month of autumn pork exports in monetary terms amounted to only 214 thousand USD or 2.3% of the aggregate results of January-September. The export results in the previous months were much more noticeable: small incomes from pork exports were registered in January (at the level of 0.68 million USD), while the maximum was recorded in May, when the total value of exported pork reached 1.6 million USD. One of the reasons for the weakened export trade of Ukrainian pork could be a record high price for the purchase of bait. According to the monitoring of domestic quotations for pigs slaughter conditions, the average market price exceeded 49 UAH / kg during the three weeks of September and significantly weakened only in the third decade of the month. At the same time, the volume of sales of live bait to Georgia had a less negative impact. Supplies, although slightly reduced compared to the particularly active August, were however greater than in the first four months of the year. 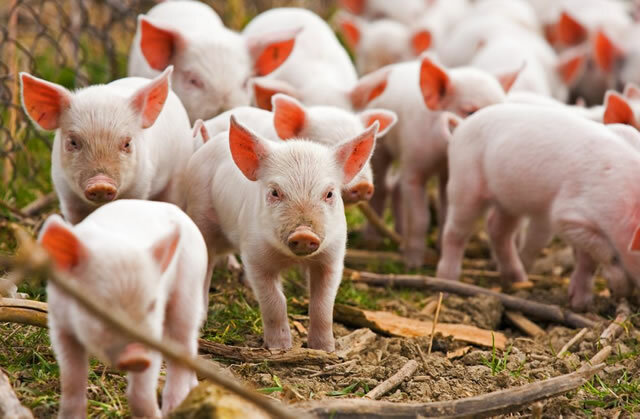 It is worth noting that according to preliminary data; more than 27 thousand pigs have been sent to Georgia since the beginning of the year.